Stephen Kim was tragically taken from us on April 22, 2017 in a senseless act of violence. 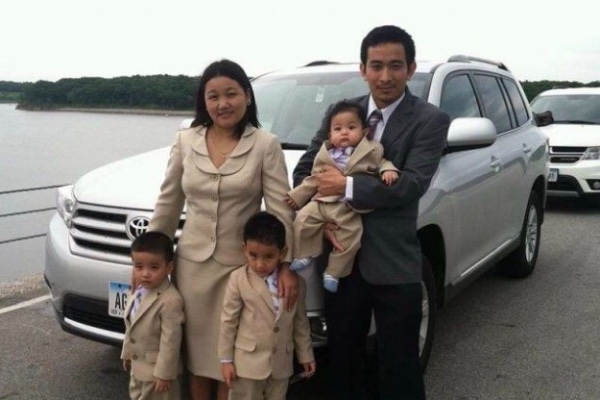 He leaves behind his wife, Esther Kim, three young boys and brother here in Des Moines, Iowa. Originally a refugee from Myanmar (Burma), his family came to Iowa seeking safety from violence and a better life for their family. He was a caring father and devoted husband. He worked two jobs; one was at Cool Basil with his wife and brother. They earned their citizenships and changed their names, proud to be Iowans. They juggled their schedules working tirelessly to provide the best life possible for their children. Stephen was a kind-hearted, soft-spoken and hard working person. He worked side-by-side with his Des Moinesian peers, always eager to help more than asked and always, regardless of all else, no matter how tired, with a smile. He was truly and uniquely a good, kind and selfless person. - Now that Esther has been left to raise her children on her own, assistance in providing for their education in the years to come will be what is most needed. - We are hoping to give relief to the family for the heavy funeral costs they must now take on. - Stephen was working to bring his mother, a refugee still living in Myanmar, to Des Moines so she could be with her son and grandchildren. Now that is too late, but the family is really hoping they can figure out the funds to bring her here at least for his funeral. We know it would have meant the world to Stephen. Stephen Kim will truly be missed. May his family find some comfort and peace here in our home of Des Moines. I wanted to post an update and finally send some thanks. Ester Kim has connected to gofundme and has successfully received donations. If the campaign receives more donations, they will be sent to her in periodic payments. She will be putting the majority of her donations into a trust fund for her children's education and future. However all of her donations will be used to help her raise her three sons as she moves forward in life without Stephen. As for me, Emily, I will continue to manage this gofundme page. All that means is I am able to post updates and receive messages sent through this campaign. If you do have any questions, please don't hesitate to contact me! 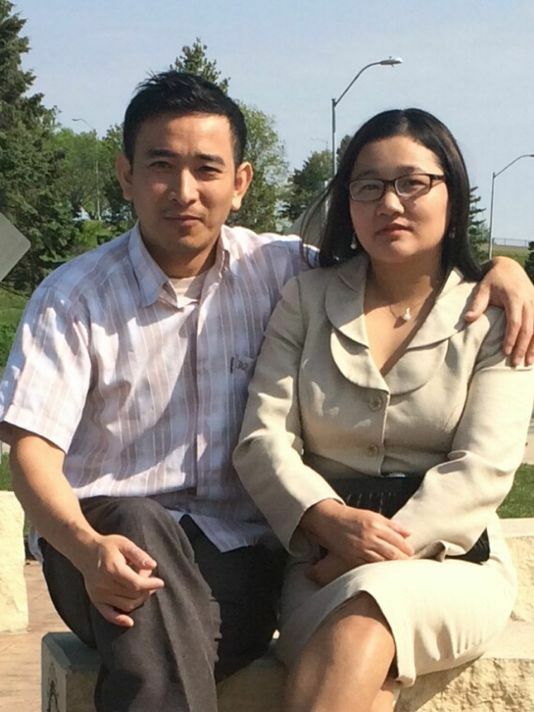 First and foremost, we want to thank Ester Kim, her family and everyone in her community. We began this campaign the night Stephen passed away without the family's permission. We had no idea just how amazing the community here and at large would be in love, generosity and support. After the campaign took off, we contacted Ester, just days after Stephen had passed. Ester and the whole Zomi Chin local community were so very extremely generous in giving us their time and their blessings during such an awful, heartbreaking and tumultuous experience. They never showed a hint of being inconvenienced and generously involved us in their activities despite owing us absolutely nothing. That's really just how Ester and Stephen always were: selfless, kind and giving. Thank you to Ester, Ester's family and to the whole Zomi Chin community for all you have done for us. We want to thank Mr. Martin Flaherty, principal of Holy Family School. We reached out to him early in the campaign and we are so glad we did! Mr. Flaherty has been instrumental in this campaign and supporting the Kim family. We know everything he has and continues to do, which is above and beyond what any one person should be expected, so we will thank him for only what he has done for us specifically. And that is so so so very much! Mr. Flaherty reached back to us immediately and has always only been a phone call away. He has mentored us when we needed advice, guided us in the importance of keeping updates and advised us on how to communicate with the community. Despite knowing our novice experience in managing a fundraiser, he only ever offered advice with utmostrespect. We thank him so much for his guidance and support, without which we may have failed in our mission completely. We want to thank Father Ambrose of Saint Ambrose Cathedral for helping us to organize times to meet with the Kim family, for supporting us in our mission and for generously involving us in gatherings and prayers. We want to thank Jennifer Howell of West Glen Town Center for organizing such an amazing and successful fundraiser for the Kim family. She took time out of her maternity leave to reach out to us and to organize such a beautiful event. We also want to thank all of the participating businesses for their generous donations. Last but not least, we want to thank YOU. Everyone who has donated, reached out, asked questions, given gifts, sent messages or even checked in on this campaign. We are truly humbled and we thank you so much for trusting us and allowing us to hold this fundraiser for the Kim family. We give all of the donations we receive to the family in person at least weekly. And we are keeping records of messages, e-mails, phone calls and donations so we may collect them and present them to the Kim family. We know all of your kindness and support will help comfort them in their time of need. We are still striving to reach our goal and we want to continue to help Ester Kim and her family in the days, months and years to come. If you have any questions, concerns or ideas, please let me know! Wow. What began as a humble fundraiser with no expectations has become the most wonderful and moving act of support, care and love from so so many amazing people. The Kim Family's story has reached the hearts of so many people here in Iowa and across the globe. While their story is unique and the manner of Stephen's death unthinkable, love for your family, your children, your community and fellow person is obviously universal. We have met with Esther, some family members and community leaders and they are truly in awe and thankful to every single person who has reached out. We will be collecting all comments shared that we can find and giving them in print as a gift to Esther and her family. We are not finished yet! We are still accepting much needed donations. Funeral costs and travel costs for Stephen's mother to attend his funeral have already exceeded expectations. Stephen & Esther both worked two jobs each and now that income has been stripped by more than half. Their three young boys will still need support for education costs from here all of the way through high school, and that is not even taking saving for college into account. Many people have reached out to help in a more concrete or sustaining way. There are indeed immediate expenses and sustained support will be vital as well. If you would like to help in this or another way, you can contact me via this gofundme page and I can connect you with the people who are helping Esther manage her expenses. There are many thanks to share but for now we will keep working to support Esther in whatever capacity we can. On behalf of Stephen Kim's family and all of his friends and colleagues, we want to say THANK YOU to our community and all of those who have donated, sent messages of kindness and condolences. We are all so incredibly astonished and moved. It really shows for the deeds of one bad person, there is a hundred times more love and kindness in the world. I want to introduce myself in case there is some confusion regarding this gofundme account. My name is Emy (Emily) and I am a manager at Cool Basil, Banana Leaf and Thai Flavors restaurants where Stephen and Esther Kim (Stephen's wife) work. This gofundme fundraiser was the idea of all of the managers and owners combined. 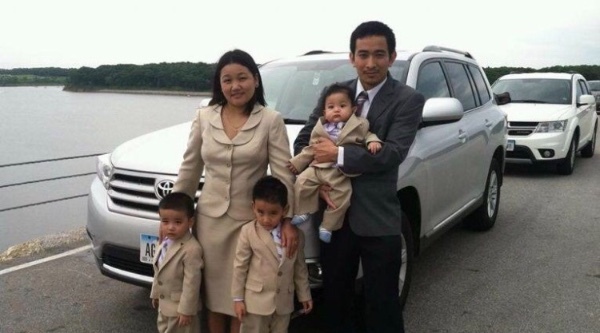 So this gofundme is managed by Cool Basil, raising money for Esther Kim and their three sons. I was put in charge of creating this page and so I used my name so there was absolutely no confusion for the gofundme website as to where the money should go. I will be collecting the funds personally and signing over the funds via check directly to Esther Kim. If you have any questions regarding how this fundraiser is operated, please don't hesitate to contact us. I am one of the pastors at Grace United Methodist Church, 3700 Cottage Grove Avenue, Des Moines. The church is maybe three blocks away from the Kim residence. Please don't hesitate to let me know how we can be of help now and/or in the future. I am so very sorry for this senseless and violent act. My deepest and heartfelt sympathies to you and your family. Aizelaw ka tuarpi tuk hna, PATHIAN khuakhan hi Theihthiam in hngalhthiam a har hringhren, Phaisa pek ka duh ve a pek ka thiam loh. I'm so sorry for your loss. May God bless you and your three beautiful boys. I am so sorry for your loss. I can't imagine what you are going through. I will keep you and your family in my prayers. Mei Gong Tagah te Pasian in Hong Om pih den ta hen! !